1) Once you get up, don't forget to open the shutters or the blinds. This way, you benefit from the light from outside and you won't have to switch on the lights when moving around. 2) In the bigger rooms, divide up your spotlights or lamps into two sets so that you can vary the lighting according to the amount of darkness. This way, you will no longer have to use all your lights at once when only half of them are enough, which is often the case in the early evening. 3) While dusting, remember to do the light bulbs: this simple action enables a luminosity gain of practically 40%, thereby avoiding the use of two light bulbs when one is enough. 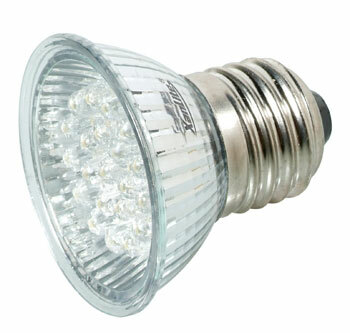 4) Avoid halogen lamps, which not only consume much more than standard ones, but also consume the same amount of energy regardless of desired brightness. Indeed, the consumption of a halogen lamp is the same no matter what the brightness setting because the variation in brightness is obtained by the use of a resistor, and not by the use of a smaller current. 5) Consider installing several cleverly-dispersed switches in busy areas (e.g. corridors, big rooms with several entrances, etc.) so that you can easily switch off the lights without having to make a detour when leaving the room, even if it is for a few minutes. A switch that is located on one's way out will be used more frequently than one that requires making a detour to get to it. 6) When replacing a light bulb, do a test with a bulb of slightly lower wattage: the difference in brightness between 75 W and 60 W or between 60 W and 40 W is not always warranted, but there is an actual difference in consumption.